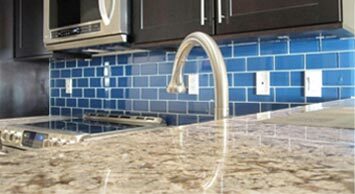 New countertops are among the most valuable additions you can make in your home. Whether you choose granite countertops, marble, or quartz surfaces, you can add beauty and functionality to each and every room. At Edge Stoneworks we aren’t just another typical fabricator. We are passionate about serving our customers at a level that is hard to find this day in time. By taking the time to get to know you we make the process easy and enjoyable. Our Promise to you! Please click here to read more about us and why you should choose Edge Stoneworks. WHERE DO I BEGIN? HOW DO I GET A QUOTE? 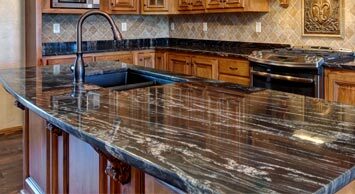 We make it easy for you to participate in the process of selecting your stone and your options. Please click here to read about our process or just give us a call! click here to see all testimonials. “Sorry it has taken me so long to write a review. We were the first one to use this company (new) even though the crew was not new to the business.